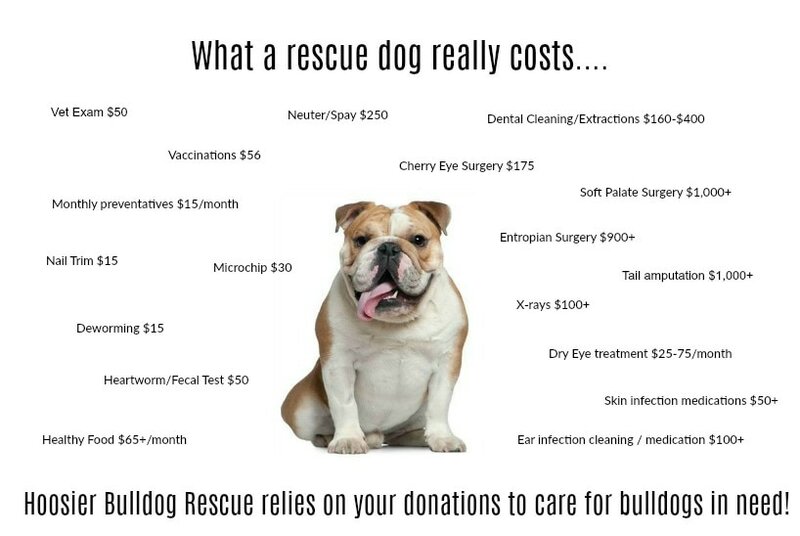 Our average adoption fee for an adult bulldog is $500. However our fees can range from $250-750 depending on age and health of the dog. Our rescue survives on donations to care for surrendered dogs. Often times, this far extends what our Adoption Donation fee is set out. It's not uncommon to spend $2,000 on any given dog. All dogs are seen by a veterinarian and any necessary medical treatments are completed, including regular vaccinations, deworming, spay/neuter surgery, and flea/tick/heartworm preventatives. Many dogs who enter rescue require further medical care, including treatment for skin infections, ear/tail pocket infections, cherry eye/entropion surgery, heartworm treatment, and much more. 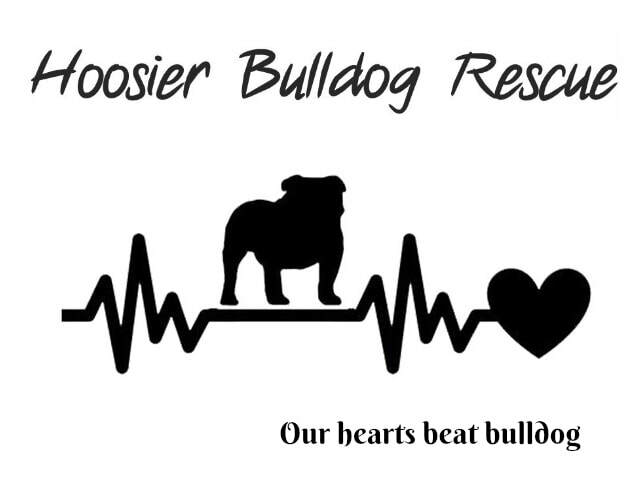 Once we accept a dog into our rescue, we dedicate ourselves to giving them comprehensive care.